9 Million epidural steroid injections are given each year with a cost range from US$600 dollars to over US$2000 per treatment according to a Dr OZ investigative report. (https://www.youtube.com/watch?v=PsRwer6KFvg) It is the Number 1 procedure doctors do for low back pain. The neurological environment is intelligent and can respond or not respond, depending on the therapeutic engagement, but the majority of practitioners are just doing a technical approach so there is no communication between the techniques applied and the innate intelligence within the patient's body. Another mistaken concept is that there is always an inflammatory process within pain, but what we see clinically in the majority of cases is that there are simple disturbances in the neurological process caused by some form of trauma. We understand also that inflammation can cause pain but as a general concept the medical group sees pain as an inflammatory process over all. · Radicular pain is not often the result of nerve root inflammation. Many theories are concluding inflammatory conditions are the central factor in pain. These theories are founded in research done on animals suggesting radicular pain is caused by inflammation to the nerve root in the epidural space provoked by a leakage of disc material; compression of the nerve vasculature or irritation of the nerve ganglia of the spine. · Pain is not a cortisone injection deficiency. We see in daily clinical work that a very little percentage of chronic radicular pain is due to leakage from the disc. In the majority of cases we treat it is mostly a neurological trauma to the compressed factor within that specific disc area and not an inflammatory condition that would require cortisone treatment. · The effects of an epidural steroid injection tend to be temporary with 50% or less of the patients having some pain relief as result. 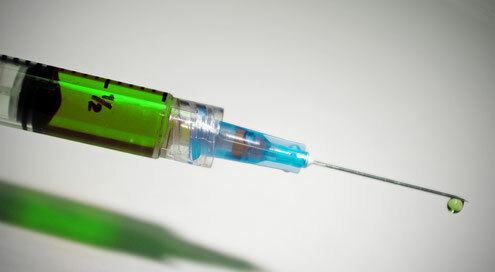 · In general, patients with radicular pain lasting over a year have around 50% or less chance of results using Lumbar Caudal epidural injections. According to Dr. Roger Chou, a medicine professor at Oregon Health & Science University, many of the successful results using epidural corticosteroid treatment for cases of radiculopathy pain were null in less then 3 months. The results are often temporary, as is mentioned by Dr OZ. 9 million of these injections are given each year in the US and the results are very poor, so the question is: Why is this procedure the number one application for cases of back pain when the recommendation for the use of these injections are inconsistent and lacking in evidence? Why are we forced to undergo ineffective and costly protocols?